Until this year, the appearance of Samsung's smartphones was a big weakness with their plastic looks. But that has changed this year with first the Galaxy S6 and S6 edge, and now the Galaxy S6 edge+. 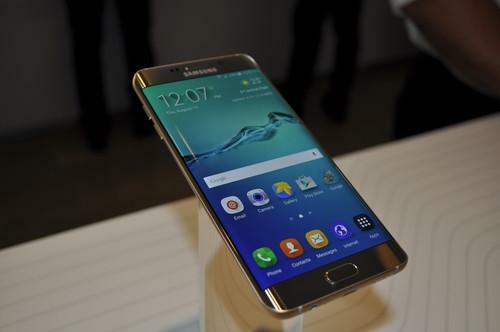 The smartphone was launched on Thursday alongside the new Galaxy Note 5. With a mixture of a metal frame and glass back, all four are a big improvement and the new design makes them look like the high-end products they are, as opposed to resembling a $200 smartphone. Under the hood, the S6 edge+ has inherited a version of Samsung's own Exynos processor from the existing Galaxy S6 models, with four cores running at 2.1GHz plus another four running at 1.5Ghz. The processor is based on a 14 nanometer manufacturing process, which should help improve performance and lower power consumption. That combined with 4GB of speedy memory as well as fast integrated storage results in excellent performance. Since the S6 edge+ is based on the existing Galaxy S6 models, some of the things that users found annoying about those smartphones remain, including that they're not waterproof. Although this feature has fallen somewhat out of favor industry-wide, it's still offered on recent devices from Sony and Motorola Mobility. There is no denying the S6 edge+ is an engineering tour de force, but all that fancy hardware comes at a cost. The price tag in the U.S. for the 32GB version will be about $800, and that's a lot of money for a smartphone, particularly since Samsung's competitors are increasingly focusing on smartphones that cost below $400 and that offer very good performance in most regards.